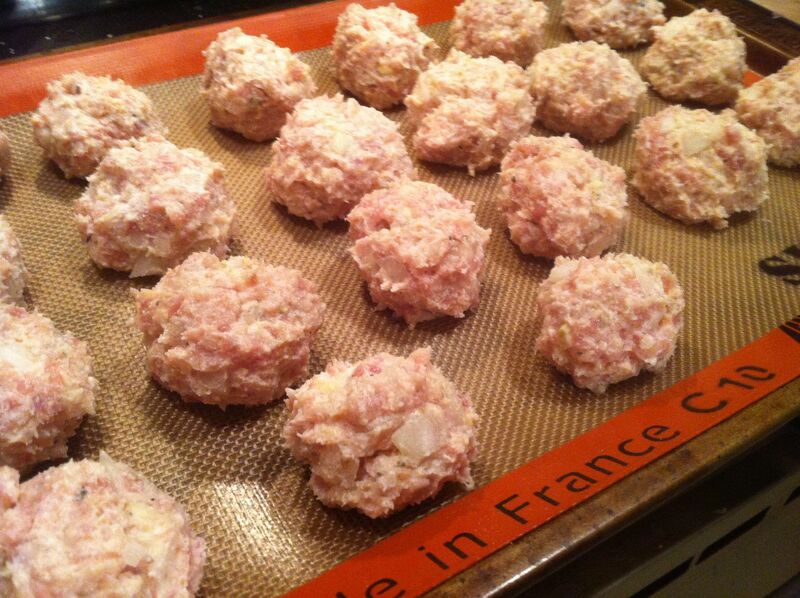 -Combine the ground chicken, ricotta cheese, bread crumbs, onion, garlic, egg, salt and pepper in a large bowl. Mix gently until well combined. 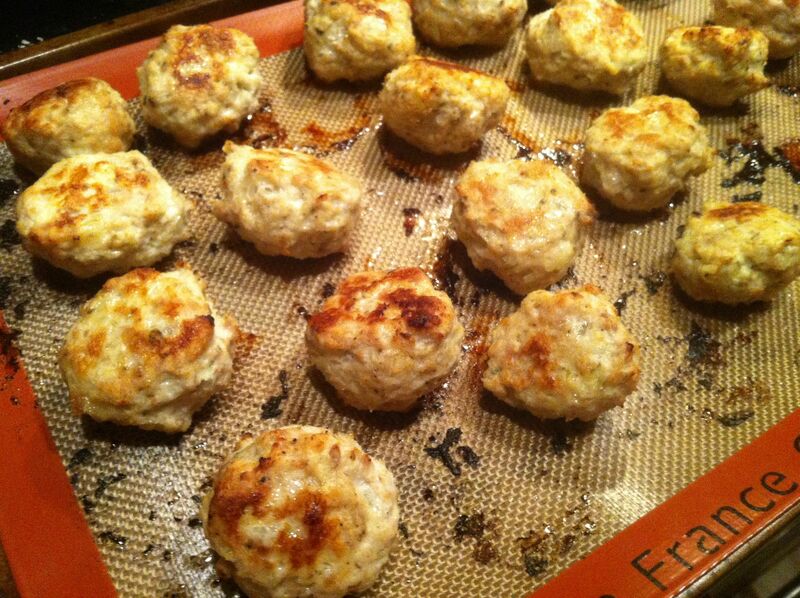 -Form into meatballs the size of ping pong balls. They will seem very wet and gooey but have no fear. Arrange on a silcone mat or parchment-lined baking sheet and bake for 25 minutes, turning after about 15 minutes, until golden brown in spots. See those crispy black bits on the silpat? Scrape them off and snack before dinner. I promise they’re divine. -Transfer to a pot of tomato sauce and simmer until serving. I was planning on have a low-carb meal and serving them over zucchini noodles but ALAS, we had no zukes. This carboholic was just fine with spaghetti. 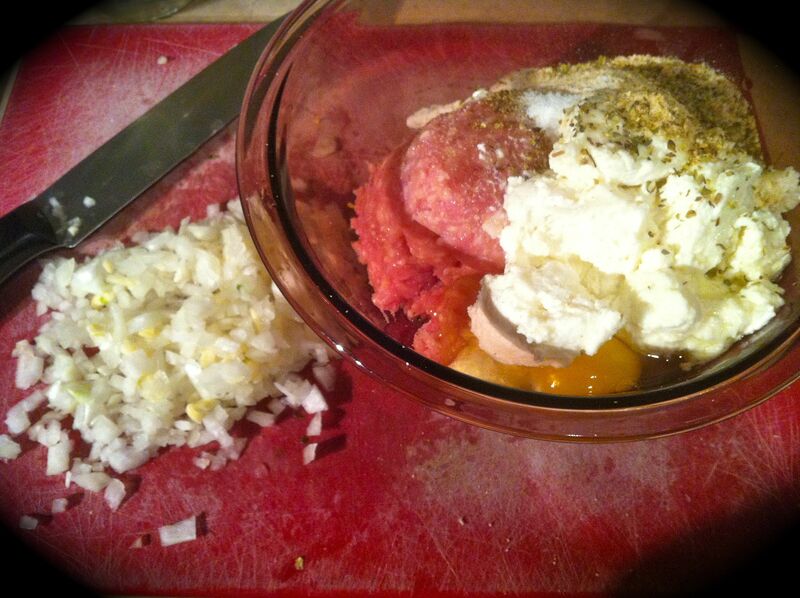 I was amazed by how light and fluffy the meatballs were and the ricotta seriously salvaged the dryness that is often prevalent in ground poultry. 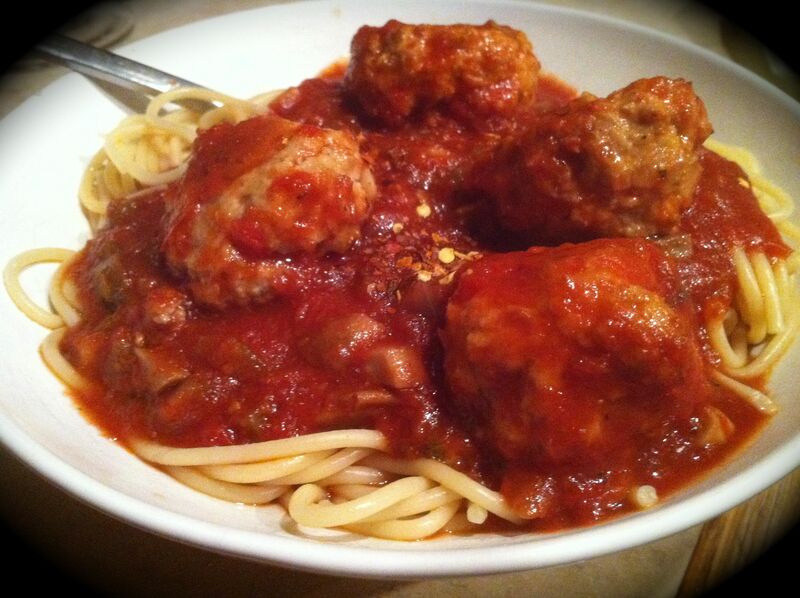 I made an abundant amount of meatballs but we somehow tore through them in just a few days. They were that good and absolutely packed with flavor. Next time I’m at the Reading Terminal, I’m hitting up Godshall’s to buy some ground chicken in bulk as this would be a great freezer meal. I am so glad you liked them! It is a great freezer meal. Those things freeze like dream. Thanks for blogging it! The photos look good enough to eat. I especially appreciated the dramatically counterposed before and after! Mmmmmmmm! These look SOOO good. I’m definitely going to add them to my recipe file.